~ Where else do we choose to have our civilization out of control? 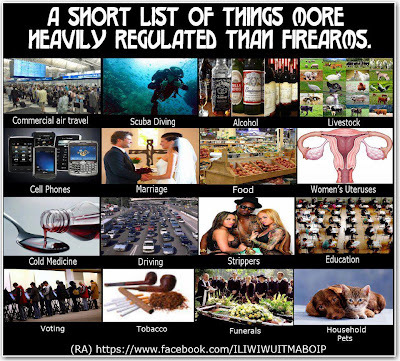 Even though we regulate all of these things, we neither ban them, nor confiscate them from those owning and using them responsibly. Control is not confiscation. Regulation is not a ban.